Muscat, 11 December 2018: As part of its commitment to the community, Oman Arab Bank (OAB) recently sponsored the closing ceremony of the competition ‘The Best Electronic tool for Mathematical education’ across schools of the Al Buraimi Governate. The event was organised by the Directorate General of Education in Al Buraimi. The ceremony was held under the auspices of Ahmed bin Amer al Kharousi, Assistant General Manager of Retail Banking and Head of Regional Management and Branch Support Department at OAB, and saw the attendance of Ali bin Abdullah Al Nuaimi, Assistant Director General, and Ali bin Faris Al Azzani, Assistant Director General of the Directorate General of Education in Al Buraimi, together with a number of administrative experts, educators, line managers, principals, and PE teachers. The ceremony included students from various schools of the Governorate putting up some shows and the chief guest handing over the prizes to the winning schools in each of the different categories of the competition. 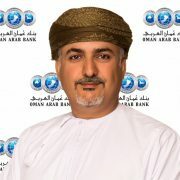 Oman Arab Bank is one of the first banks to be established in Oman with a rich and proud history. Today, the bank operates a nationwide network of 65 branches and representative offices and 150 ATMs spread across the Sultanate. OAB also provides a complete range of financial products and services for Retail and corporate banking clients. Muscat, 16 December 2018: In recognition of the importance of SMEs to the growth of the economy, Oman Arab Bank (OAB) recently conducted a visit to Dhakliya region to visit SMEs it had supported in the past, as well as explore new opportunities for partnerships. The delegation from OAB included several members of the Bank’s Corporate Banking department and was headed by the CEO, Rashad Al Musafir. The visit saw the delegation visited craftsmen and SMEs in the Dhakliya region. A large number of these visits were to companies and individuals the Bank had supported in the past in order to see how their businesses were developing as well as to obtain their feedback on the services and products offered by OAB. In addition, the delegation was also on the lookout for new opportunities for collaboration and partnerships as well as to develop synergies with companies under its support umbrella in order to further boost the growth and development of SMEs in the region. “The SME sector greatly contributes to economic diversification and social stability, and plays an important role in private sector development. Meeting such as these help us collectively recognise the untapped and profitable opportunities present within the sector as well as provides us with a better understanding of how we can cater to as SME’s financial needs,” concluded Rashad. Muscat, December 31, 2018: Oman Arab Bank (OAB) was recently recognised as one of the best ‘Straight Through Processing’ (STP) banks in Oman by Citibank, a globally renowned financial firm. The award was presented to the Bank at its headquarters in Al Ghubra by Mohammed Ahmed Al Hammadi, the vice president of correspondence banking group at Citibank. Mahfoudh Sultan Al Rawahi received the award on behalf of OAB and was accompanied by members of staff from the Bank’s Central Operations department. The award was presented to OAB in appreciation of the quality and accuracy payments sent by OAB, wherein the Bank maintained an outstanding of 95% modification-free rate for bank remittances in USD. “Our success as a Bank, both in terms of remittances as well as our other retail and commercial products and services, can be attributed to our continued emphasis on implementing the best global standards in managing our processes, people, and service delivery,” added Mahfoudh. Oman Arab Bank is one of the first banks to be established in Oman, with a rich and proud history. Today, the bank operates a nationwide network of 65 branches and representative offices across and 150 ATMs spread across the Sultanate. OAB provides the complete range of financial products and services for personal banking, corporate and investment clients. Muscat, December 30, 2018: Oman Arab Bank (OAB) recently conducted its Hasaad draw for the month of November, at its Head Office in Ghubra. The draw saw 83 winners from across the Bank’s branch network receiving OMR 1,000 each, together with one winner of OMR 20,000 as part of the Monthly Elite Draw. “On behalf of OAB I would like to congratulate each of the winners of the November Hasaad Savings Scheme draw; as well as encourage our other customers to continue saving so as to maximise their chances of winning in the upcoming final draw of the Hasaad Savings Scheme 2018,” added Rashad. Muscat, January 07, 2018: Oman Arab Bank (OAB) kicks off 2019 with the launch of a host of new customer centric innovations as part of its ongoing digital transformation journey. Headlining the press conference, which was held on January 06 at the Bank’s headquarters in Ghubra, were OAB’s Next Gen ATM capabilities including ‘Tap & Go’ payments, and enabling of Instant Rewards as well as Discounts at Points of Sale (POS) machines across OAB’s network of select merchant partners. The press launch was presided over by the Bank’s CEO, Rashad Al Musafir, and accompanied by Fahd bin Amjad, the Head of the Retail Banking Group, and Rashad Al Shaikh, DGM – Retail Banking. Also in attendance were members of the media as well as members of the senior management and staff from OAB. Headlining the press launch was the Bank’s new NFC (Near Field Communications) payment capability across its entire ATM network. This innovative technology, more commonly known as ‘Tap & Go’ or ‘Contactless Payment’, allows the customers to carry out ATM transactions by simply tapping their NFC enabled cards on the ATM. At ATMs this means customers can carry out cash withdrawals much faster than before without ever needing to insert their cards into the machines. This technology not only saves the physical card from wear and tear, but is also fully secure, requiring a customer’s PIN entry. Additionally; customers will also be able to make payment to merchants by simply tapping their NFC enabled cards on the POS machine, without even needing to enter their PIN code. The Bank is expecting to have the NFC feature enabled across most of OAB’s POS merchants by mid-2019. In order to make use of these services, customers will require one of OAB’s newer NFC enabled cards. The Bank was the first in Oman to issue contactless cards and had already begun the roll out of these new cards early last year. In addition to its NFC solutions, OAB also announced that it has partnered up several merchants and outlets in order to launch its new Instant Rewards Point Redemption feature on OAB Point of Sales machines. OAB Rewards is a comprehensive loyalty program that offers customers the opportunity to receive rewards points for purchases made on their OAB credit cards. The accumulated points can later be redeemed with airlines, hotels, car rental services and more in countries around the world. Alternatively, customers can instead opt to use the points as a cash-back option. Using this newly introduced Instant Rewards Point Redemption feature, any OAB customer making purchases from Sharaf DG, Kargeen Café, Gloria Jeans and several other participating merchants can choose to pay, completely or partially, using their accumulated OAB Reward Points. The entire process is simple and fast and will be carried out seamlessly at the time of payment. Another new soon to launch feature introduced at the event was the automated redemption of OAB Card Promotions. As part of its Card Promotions program, OAB has partnered up with several brands, companies, and service providers across the country to provide OAB cardholders with exclusive discounts and value added deals. With the new automated system in place, OAB customers will automatically receive these discounts directly from the POS machine without having to ask for them receiving immediate saving by using OAB Cards. “This, alongside all of the other new systems we have launched today, reinforces our position as one of the most innovative, technology savvy, and customer centric banks in the country. However, we have no intention of stopping here. We also continue to explore new opportunities to further leverage these platforms to provide even greater convenience for customers going forward,” concluded Rashad Al- Musafir. Muscat, November 29, 2018: Oman Arab Bank (OAB) recently conducted its Hasaad draw for the month of October, at its Head Office in Ghubra. The draw saw 83 winners from across the Bank’s branch network receiving OMR 500 each, together with one winner of OMR 20,000 as part of the Monthly Elite Draw and another winner of OMR 20,000 as part of the Regional draw for the Bank’s branches in the Shariqya region. “On behalf of OAB I would like to congratulate each of the winners of the October Hasaad Savings Scheme draw; as well as encourage our other customers to continue saving so as to maximise their chances of winning in the final two months of the Hasaad Savings Scheme for this year,” added Rashad. Muscat, 08 November 2018: Oman Arab Bank announced that it has successfully closed unsecured perpetual subordinated bonds value of OMR 42,553,000 as Additional Tier 1 Capital with an issue price of RO 1.000 per bond, comprising the nominal value, and an interest rate of 7.5% per annum. The Bank issued the bonds at a value of OMR 35 million with a green shoe option of OMR 15 million and was managed by Ubhar Capital (U-Capital), who acted as the financial advisor, issue manager, and lead arranger. These bonds attracted a significant number of investors, which in turn prompted the bank to increase the placement size by about 22% from its initial size; a clear reflection of the level of trust and confidence investors placed in the Bank. The interest payment for the Bonds will be payable semi-annual in arrears to the holders of these bonds at the date of interest payment. 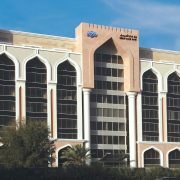 The issue was approved by the Central Bank of Oman (CBO) and Capital Market Authority (CMA). It is listed in the bonds segment of Muscat Securities Market (MSM). Total Assets of Oman Arab Bank as of 30 September 2018 was OMR 2.28 billion and the total equity was OMR 307 million before the bond issuance. The bond issuance has resulted in an increase in equity to OMR 349.6 million and the total Capital Adequacy Ratio (CAR) improved from 14.09% to 16.03%. Oman Arab Bank is proud to have achieved the highest Omanisation percentage within the banking sector, nearing 96%. It is also one of the first banks to be established in Oman with a rich and proud history. Today, the bank operates a nationwide network of 65 branches and representative offices and 150 ATMs spread across the Sultanate. OAB also provides a complete range of financial products and services for Retail and corporate banking clients. Muscat, November 05, 2018: Oman Arab Bank (OAB), in a bid to accelerate its innovation journey and drive innovative thinking within the community, has announced the launch of the first ‘Innovation Lab’ in the Sultanate’s financial services industry. The Lab, which will occupy one floor at the OAB headquarters, will drive the development and implementation of innovative solutions that would shape the financial services industry. The ideas will be short-listed at ‘The Innovation Hub’ event, a 24-hour innovation platform that will enable participants to develop proof of concepts and act as an accelerator of winning innovations into the lab. The OAB Innovation Lab, together with The Innovation Hub, was launched at a Press Conference held at the Bank’s Headquarters in Al Ghubrah on the 5th of November 2018, in the presence of the Bank’s CEO, Rashad Al Musafir, together with other members of the Banks Executive Management and Staff. Aimed at students, professionals and employees, this initiative has been developed to empower local talent and entrepreneurs to become viable contributors to the evolution of our economy through the power of innovation and the spirit of competition. The themes of the Innovation Hub are: Youth banking, superior customer experience, digital economy and payments, and an open category for other innovation ideas. The innovation hub is scheduled for January 25, 2019. Anyone interested in participating will be required to register their team for The Innovation Hub on www.oman-arabbank.com/theinnovationhub with their proposed idea and team members’ names. The cut-off date for registrations will be December 15, 2018. The initiative will also encompass several activities prior to the competition date including roadshows for students later this month followed by training workshops in December for participating student and staff teams by the Bank’s partners at the Head Office. These workshops will cover a brief introduction to the bank’s products and services, ideation, and developing proof of concepts. The Innovation Hub by OAB will begin on January 25, 2019 and will take place over a 24-hour period with the winners being announced on the evening of the following day. The winning teams from each category will be presented with the opportunity to join the Bank’s ‘Innovation Lab’ within the Bank, to develop their ideas further so that they may be implemented. The winning student team will receive a cash prize and also be presented with an opportunity to work on other innovations as part of a paid internship, together with the potential opportunities for recruitment. The winning professional team, on the other hand, will be entered into a signed partnership agreement with OAB to develop and implement their idea within the Bank. While members of the winning OAB staff team will also be presented with special incentives and opportunities for career advancement within the Bank. A Mentoring Panel has also been established, comprising senior members of the Bank’s staff and management, in order to help and support the teams on the day of the contest and later in the Lab. 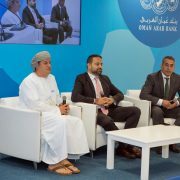 “We encourage any student or professional interested in the contest to put a team together and challenge yourselves to think up innovative solutions; ones that could enhance customer experiences, shape our digital economy and payments solutions and maybe even revolutionise a key aspect of banking in Oman,” Al Atassi concluded. Oman Arab Bank is one of the first banks to be established in Oman, with a rich and proud history. Today, the bank operates a nationwide network of 65 branches and representative offices and 148 ATMs spread across the Sultanate. OAB provides a complete range of financial products and services for personal banking, corporate and investment clients. Muscat, October 30, 2018: As part of its ongoing support and development of human resources, Oman Arab Bank (OAB) has announced the successful completion of the third batch of its ‘Ta’heal’ staff training programme. The programme was designed specifically for the Bank’s service employees. The third edition of this program was launched during the period from September 9 to 13, 2018 and was aimed at qualifying and developing the employee’s skills and capabilities; in turn, helping offer them better opportunities at the Bank in the future. The programme was focused on several topics such as CASA, problem-solving, and visa cards. It also offers employees a better understanding of their individual role in achieving the goals of the institution, the role of the institution itself in assisting with their development in their areas of work, as well as introducing the principles of internal communication, teamwork, and institutional loyalty.